Another favorite children’s book that Garner has enjoyed also. The names of the characters are so fun to read – Mrs. Hipple, Clover Sue, Mrs. Primm. 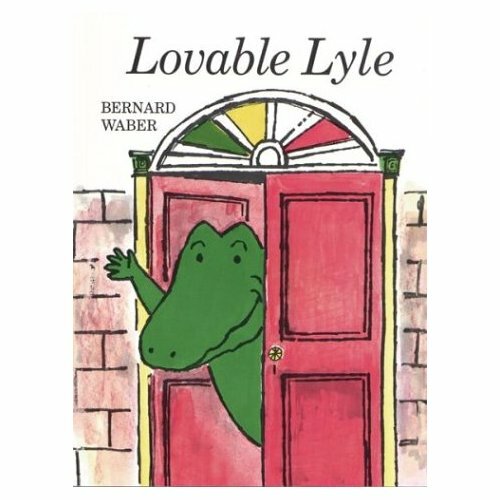 In this book, almost everybody loved Lyle the Crocodile until one day Clover Sue Hipple (a new friend to young Joshua Primm) started putting hate mail under Lyle’s door. Nobody knew who was doing this, until one day Mrs. Primm caught the note writer and found out why she was angry with Lyle. She invited Clover’s mother to meet Lyle, only to end the visit with the crocodile falling on both Mrs Hipple and Mrs Primm. Mrs Hipple threatened to have Lyle arrested. But at the beach the next week, Lyle saved Clover’s life, and won over both Clover and her mother.